From the handwritten name on the door of his old van to being physically confined to a wheelchair due to the loss of his legs, he continued to play his beloved Blues, even on the very night he died. He never made much money nor did the killer big money gigs. 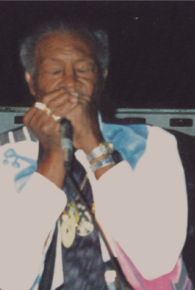 He was truly the quintessential blue-collar or working man’s Bluesman.